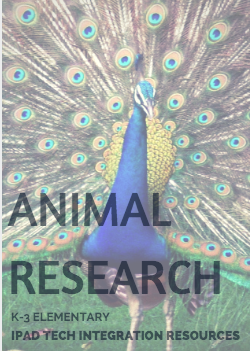 Buy this 35 page document (including clickable links) detailing a new approach to animal research. The MISO method will help students discover a variety of ways to collect information about their animal. Students will use Media, Interviews, Surveys, and Observations to go beyond just regurgitating information they learned about their animal in a book. Included are tech integration ideas for the research phase and tech integration ideas for developing a finished project detailing their research.